Most of us rely on coffee to function and to take on the day’s challenges. While we all have preferences, likes and dislikes, it would be nice to know if we have a little bit more information about the coffee we are drinking. Does dark roast have more caffeine? Do lighter roasts have less caffeine? If you really want to know the answer to this never-ending debate, read on. We hope we can enlighten you about dark roasted coffee through the help of the discussions below. There is a common misconception that dark roast is more caffeinated than light roast because it has a heavier and bolder flavor. On the other hand, some also believe that light roast is more caffeinated because caffeine is lost the longer the beans are roasted. While both are good points, they are wrong. To answer the question, dark roast does not have more caffeine than light roast. 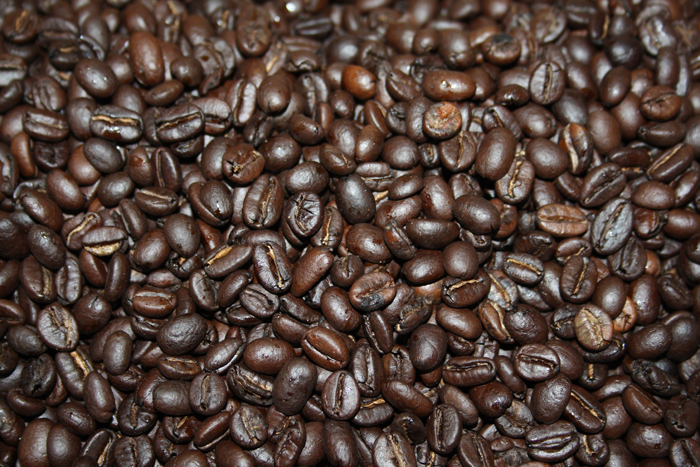 The reason is because dark, medium and light roasts of the same coffee bean have the same amount of caffeine. An interesting thing to note is that caffeine is almost extremely stable while being roasted. If you would like to see the transformation of how coffee beans are roasted from green to brown, you check the below video. We normally consider drugs as a bad thing, yet we use some of them almost everyday, without even thinking twice. We think that we should not worry about it since everyone does it. So as long as it is socially acceptable, we would not think about what these things do to our body. Considered as one of the most popular and socially acceptable form is caffeine. When you think about it, we do not only have fun with it. We also rely on it to help us perform our daily challenges and tasks. Caffeine is a stimulant that increases our alertness, excites the body and is very similar to amphetamines. It makes us hyperactive, unlike depressants, which dull our senses. The most common and popular form of depressants is liquor or alcohol. To add, caffeine has few negative side effects compared to amphetamines. Caffeine increases the production of adrenaline, as well as dopamine. One negative side effect of caffeine is that it blocks out ‘adenosine receptors’. Adenosine is a substance, which builds up in our brains over the course of a day. After having four to five cups of coffee in a day, these adenosine receptors take effect. In the event that you block these adenosine receptors regularly, chances are that it affects the availability and sensitivity of these receptors. One interesting fact about it is that it helps prevent dementia and various degenerative brain diseases. Another thing, caffeine is considered as an antioxidant and can protect us against cancer. Though it has a number of positive side effects, developing a tolerance to caffeine can also be a cause to worry. If we drink ﻿coffee regularly, we become more sensitive to adenosine. At the same it, it makes us feel more tired when we are not on caffeine. Another negative side effect of caffeine over time is that it changes our personality temporarily. You may notice that aside from headaches, caffeine withdrawal can also result to fatigue, depression, irritability and nausea. This is the reason why many of us are irritable before having our first cup of coffee. For the physical side effects of caffeine, it makes us generate more adrenaline, making our hearts beat faster. It also speeds up our metabolism and some types of coffee are being used for weight loss. One negative side effect though is it causes our body to produce cortisol, which weakens our muscles, thus resulting to weight gain. Given the number of the negative side effects of caffeine, it would make us wonder what can we do to lessen the caffeine of the coffee we drink regularly. If you are wondering if this is achievable, you are right. One way to do this is to use less ground coffee. It is common knowledge that if you use more ground coffee, your brew will result to higher caffeine content. Another way to lessen caffeine is to customize your own low caffeine mix. You can also adjust the ground level to make your coffee less caffeinated. 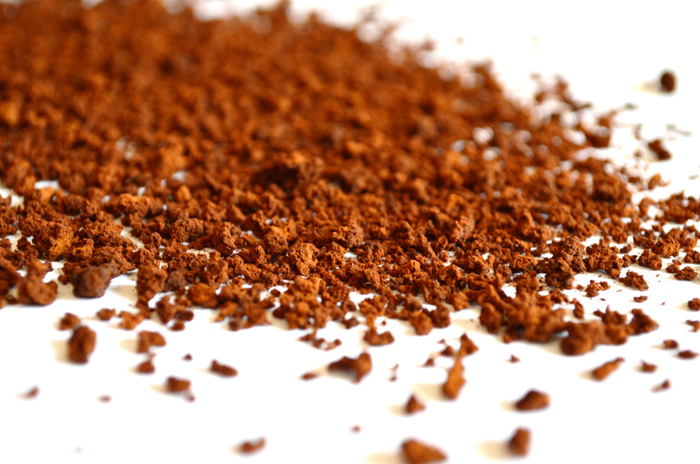 More caffeine will be lost if you grind your coffee a little more finer. You can reduce caffeine in your brew through grinding your coffee coarser. This may be considered as the easiest way to reduce caffeine content. You can always try experimenting with instant coffee. In case you are not familiar with the process, instant coffee is produced from brewing coffee beans and freeze-drying that removes the water content. Once done, you will now have a concentrated instant powder. Does dark roast have more caffeine? I hope by now you know the answer to that question. It is always good to be informed about such things as they can also help you with taking care of your body. No, dark roast does not have more caffeine than light and medium roast. The coffee beans have basically the same caffeine content and it does not change while being roasted. Caffeine has a number of good and bad side effects. It is considered advantageous if you know how much coffee you can drink in a day in such a way that it will not harm you. There are many ways in which you can lessen the caffeine content in the coffee you drink on a daily basis. You just have to be creative. Did you enjoy reading this article? If you have anything else to add, feel free to leave a comment below and we will be more than happy to discuss it with you.